Ranitidine Hydrochloride with NDC 72785-0001 is a a human prescription drug product labeled by Liva Pharmaceuticals Limited. The generic name of Ranitidine Hydrochloride is ranitidine hydrochloride. The product's dosage form is injection, solution and is administered via intramuscular; intravenous form. 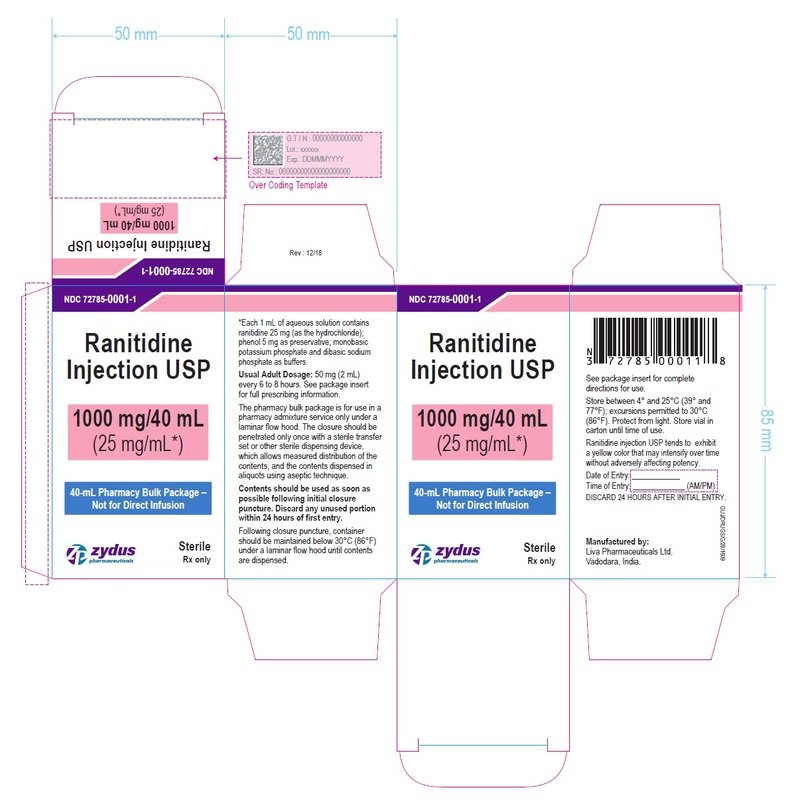 Ranitidine injection, USP 25 mg/mL, containing phenol 0.5% as preservative, in a 40-mL pharmacy bulk package. NDC Number Strength Pack Style Description 72785-0001-1 25 mg/mL 1 vial per carton 40-mL pharmacy bulk packageStore between 4° and 25°C (39° and 77°F); excursions permitted to 30°C (86°F). Protect from light. Store vial in carton until time of use. MULTISTIX® is the registered trademark of Bayer Healthcare LLC.